Athens, Ga. – Timothy M. Chester, UGA vice president for information technology, is the 2016 recipient of the EDUCAUSE Community Leadership Award. EDUCAUSE is a nonprofit association and community of IT leaders and professionals for higher education. The Community Leadership Award, which is presented annually, recognizes community leaders and active volunteers in professional service to the higher education IT community. 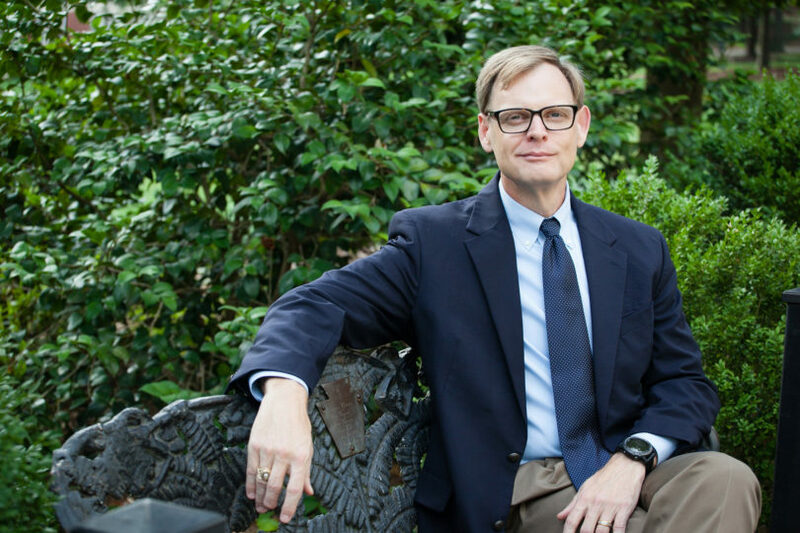 Since his arrival at UGA in 2011, Chester has focused on strategies to elevate the work, influence and impact of the university’s central IT department and the Office of Institutional Research. He has revamped both units to ensure that their day-to-day work is aligned with the university’s strategic initiatives, and he has facilitated systematic, stakeholder-focused improvements in the delivery of IT services and data reporting and analytics. Award recipients receive a $3,000 contribution to the fund of their choice. EDUCAUSE will make a contribution to the Terry College of Business’ management and information systems department, where Chester serves on the faculty and teaches Business Process Management. Chester was honored at the annual EDUCAUSE conference on Oct. 26 in Anaheim, California. In addition to receiving this award, he also chaired the program committee responsible for this year’s event.